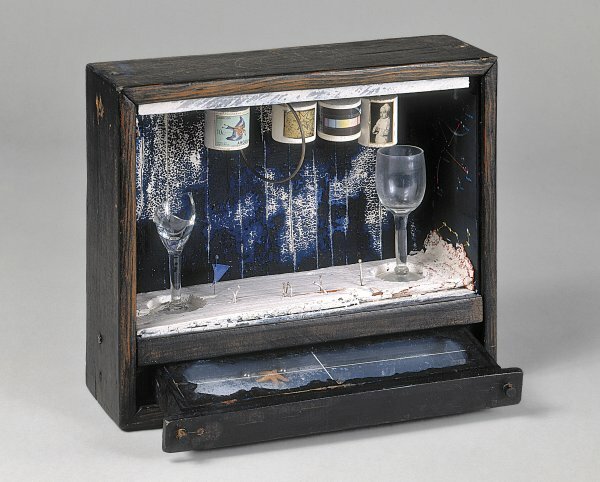 The solitary Joseph Cornell, who belonged to the same generation as the Abstract Expressionists, led his life in a modest wooden house located on Utopia Parkway, in Queens, and his sole contact with the art world was his occasional forays into Manhattan in search of objects for his works. A compulsive collector, Cornell tirelessly sought and hoarded countless pieces of bric-à-brac for the purpose of creating visual poems enclosed in small glass-fronted boxes that recall Surrealist poetics. 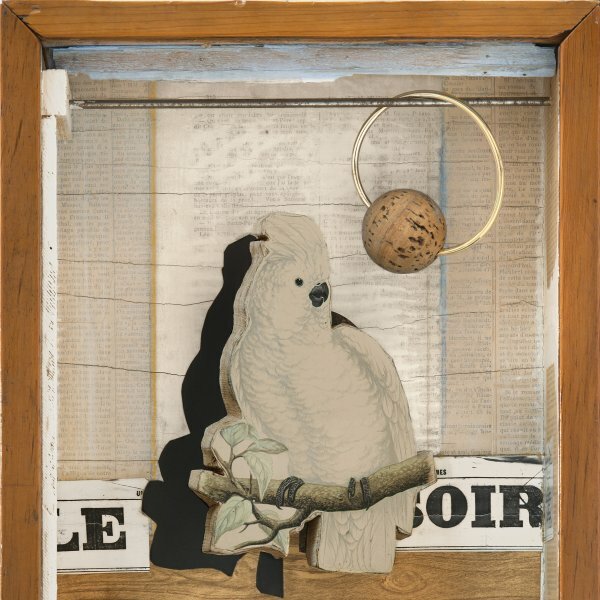 Cornell began to be influenced by Surrealism during the final years of the Second World War, when André Breton and several of his followers took up residence in New York. These magical and powerfully evocative artefacts enclose nostalgic images whose meaning is difficult to decipher, as they spring from the fantasy world of their creator. Unlike the Dadaists, the artist did not aim to convert everyday junk into works of art but rather to transform found objects into symbols of his own desires or dreams. Blue Soap Bubble, executed from 1949 to 1950, belongs to a set of early constructions based on the artist’s childhood memories. It is directly related to Soap Bubble Set, the first box Cornell produced in 1936, which Alfred Barr included in the legendary Fantastic Art, Dada, Surrealism exhibition shown at The Museum of Modern Art that same year. The meanings of the various elements that make up the present construction have been disclosed by Diane Waldman: the blue-painted drawer represents the sea, to which the starfish and sand trapped beneath the glass also belong; the two silver balls may symbolise the planets; the glass goblets inside the box represent the cradle of life and the four cylinders the four members of his family; and the metal ring may refer both to the utensil for making bubbles and the moon that governs the tides. As in most of his works, the back of Blue Soap Bubble has a collage made from a series of printed pages of Italian text.